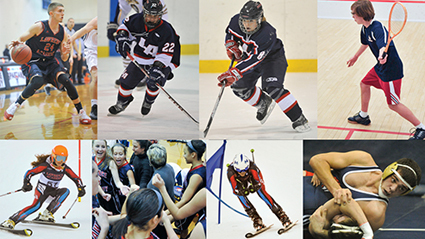 Lawrence Academy offers a range of sports at several levels so that students can compete intensely in their favorite sport or try one that is entirely new. Whatever their ability or intended goals, students can find coaches at Lawrence Academy who can assist with achieving these individual goals. Our coaches are mostly full-time faculty members, who strive for excellence by teaching and coaching students to reach their greatest potential. If a student has already risen to elite levels in an individual sport not offered at Lawrence Academy, permission may be granted for an "independent" in that particular sport. In addition, an expanded weight room facility has been added to the Athletic Center to allow students to pursue their goals to achieve lifetime fitness. 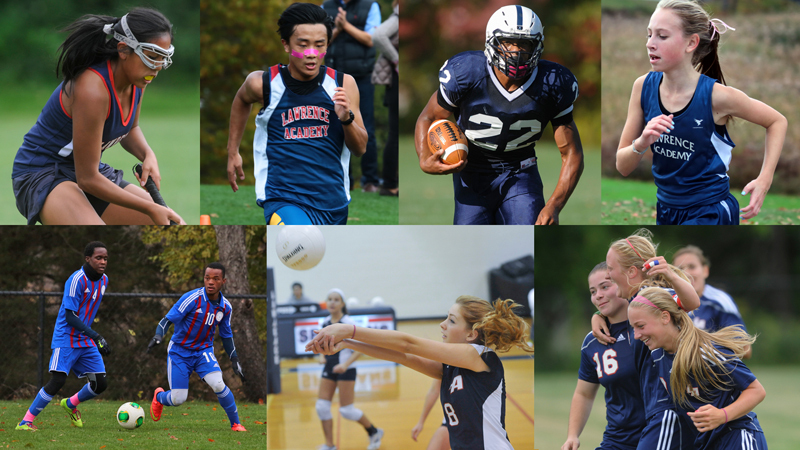 Lawrence Academy belongs to the 16-member Independent School League (ISL), as well as to the New England Preparatory School Athletic Council (NEPSAC). 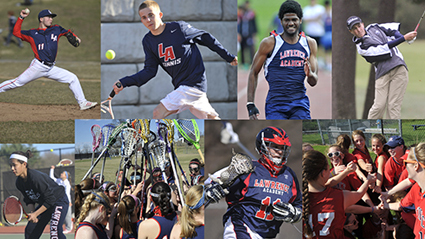 Lawrence Academy's athletic program is an integral part of the school's mission. Its philosophy is rooted in the premise that athletics are a natural extension of the classroom experience. The athletic programs are designed to promote health of mind, body, and character through the daily participation on an athletic team or involvement in a physical activity in a safe and healthy environment. The ISL is proud of the behavior and sportsmanship displayed by its players, coaches and fans. The 16 member schools support spirited and fair play, as well as positive support for our players and teams. To ensure that our expected level of decorum continues each season and each game, all members of the ISL community continually renew their efforts to abide by the ideals of our league. Athletic competition in the ISL is guided by the following ideals: Players shall at all times represent themselves and their school with honor, proper conduct, and good sportsmanship. They shall understand that competitive rivalries are encouraged but that disrespect for opponents is unsportsmanlike and lessens the value of the rivalries. They shall confine the competitiveness of the game to the field, and in particular behave properly on the sidelines and in the locker rooms both before and after games. Players shall comply fully with the rulings of the officials. In no way—either by voice, action, or gesture—shall they demonstrate their dissatisfaction with the decisions made. Players must never forget that they represent their school. ISL schools will not tolerate at their athletic contests any spectator, either student or adult, whose behavior is disrespectful toward players, officials, coaches, or other spectators. Nor will ISL schools permit any type of spectator behavior that either detracts from the proper conduct of the game or disadvantages a player or team. disrespectful or derogatory yells, chants, songs, gestures, signs, posters, or banners. These guidelines apply equally to players, coaches, and fans. The ISL asks officials to apply these guidelines strictly, especially with regard to players and coaches.